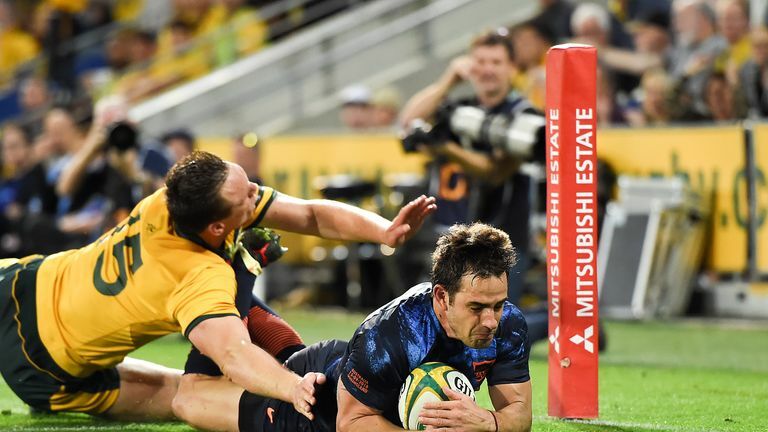 Argentina produced a determined display to seal a 23-19 victory over the Wallabies in Robina, their first victory over the hosts on Australian soil for 35 years. Tries from Nicolas Sanchez and Bautista Delguy formed part of a productive first 40 minutes for the visitors and helped put them into a promising 17-14 lead at the interval. Sanchez's penalty extended Los Pumas' cushion to 20-14 before the home side created a simple run-in for Dane Haylett-Petty and clawed it back to 20-19. Argentina kept their composure and three minutes from time, a 50-metre penalty from Emiliano Boffelli would prove to be the match-winner. Full-back Boffelli was the player to open the scoring, with his first long-range penalty of the game. He stepped up to the mark after just five minutes and connected with it beautifully to secure the earliest of three-point leads. Australia's response arrived a mere five minutes later through Will Genia. The scrum-half made the most of some excellent work from both Haylett-Petty and Reece Hodge down the right. Genia ran a textbook line and duly opened their account. Matt Toomua's conversion handed the hosts a 7-3 advantage but it wouldn't be held for long. Nicolas Sanchez, who had scored three tries already in the championship, made sure that he was in the right place at the right time. Sanchez got on end of a pop-pass from Jeronimo De La Fuente and then converted his own score. Israel Folau marked his first start for five years on the wing with a superb solo effort. He glided through a hole, beat all of the defenders in his sight and then finished with an acrobatic grounding in the corner. The TMO had a quick look and after confirmed the score. South Africa secured their first victory in New Zealand since 2009 with a 36-34 win over the All Blacks in the Rugby Championship. The same couldn't be said for Sanchez a short time later, though, as the TMO review ruled out a try deeming that he strayed into touch trying to capitalise on Ramiro Moyano's box kick. Argentina did finish the half with the final say on the board. The hard-carrying of Pablo Matera and Marcos Kremer released Delguy four minutes before the break. Sanchez converted before tempers frayed and both sides took a breather with the encounter poised at 17-14. Two minutes after the interval Los Pumas, not for the first time, countered with great purpose. They flew it wide and Delguy put an inside ball over to Boffelli. However, on review it was deemed to have gone forwards and the try was scratched out. Sanchez's boot pushed the visitors further in front with a penalty before Australia created acres of space on the right flank. Genia's quick service allowed Bernard Foley and Hodge to let the ball do the work and Wallabies full-back Haylett-Petty had an easy run in. Foley's conversion attempt didn't find the mark and it meant that Australia still had work to do being 20-19 down with 15 minutes to play. Sanchez missed off his next penalty attempt, Hodge couldn't find the target off the tee either but Boffelli's second long-range kick of the night sailed through the middle of the uprights. 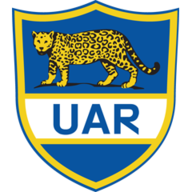 From 50 metres out, with three minutes to go, it was a nerve-settler and from there it was about pure defensive determination from Los Pumas. 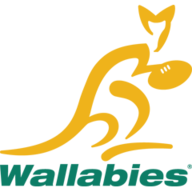 Australia moved into red zone, created a rock solid scrum platform and Folau charged at the line with considerable purpose. On most days he would have crossed for the match-winner but a three-man tackle halted him in his tracks, he failed to get the final pass away and a long-awaited victory on Australian soil was secured by Argentina.